"Wham! Bam! Here Comes Pam!" 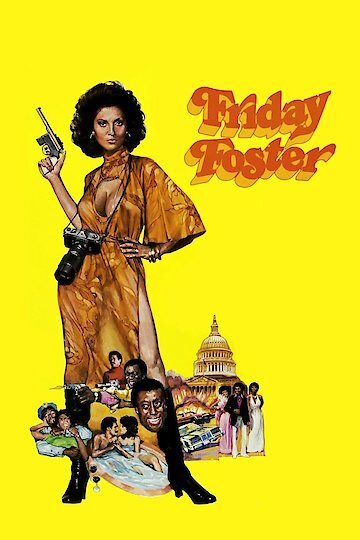 In this 70s era Blaxploitation joint, Pam Grier stars as an ambitious magazine photographer who finds herself marked for death after unearthing a sinister plot to kill wealthy and successful African Americans with political connections. When an African American billionaire narrowly escapes an assassination attempt, and a friend is mysteriously stabbed to death, Friday joins up with private detective, Colt Hawkins, to solve both crimes. Friday and Colt soon come face-to-face with the influential Black Widows group, the culprits behind the insidious plot. It is also revealed that a number of African Americans will gladly infiltrate and destroy the Black power structure for financial gain. Friday dodges multiple murder attempts as she continues to dig for the truth. Through a number of shocking plot twists, the true face behind the conspiracy is finally revealed. Friday must find a way to blow the lid off the seedy plot before the perpetrators can do more damage and kill Friday in the process. Friday Foster is currently available to watch and stream, download, buy on demand at FlixFling, FlixFling VOD, Amazon, iTunes online.